Please recite a fateha for Shaheed Amjad Sabri's blessed soul who embraced shahadat in a terrorist attack on 16th Ramadhan two years ago. Rutba Shaheed-e-Ishq ka gar jaan jayye! Qurban honay walon pe qurban jayye! Na Poochiye ke Kiya Hussain [AS] Hai! 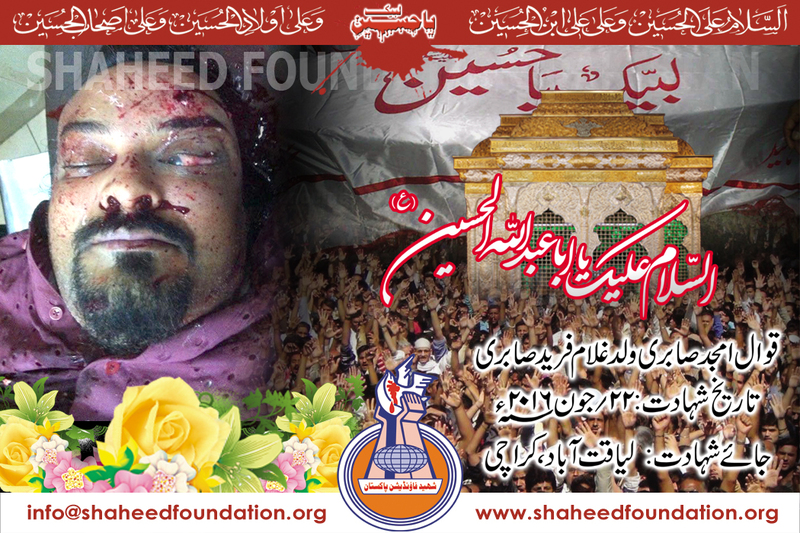 Moving scenes were witnessed as relatives,friends,fans,acquaintances and people belonging to almost every walk of life mourned the shocking and sudden martyrdom of renowned vocal artist, a classical qawwal famous for composing poetry and lyrics in the love of Rasool-e-Khuda [SAWW] and Ahlulbayt[AS]. The incident occurred before the Aftar today in Karachi as he was travelling with associate when he came under attack from takfiri terrorists near Liaquatabad. According to police two motorcyclists used 30 bore pistols to shoot sabri five times and escaped easily enroute Hasan Square after committing the heinous crime. Shaheed Amjad Sabri was a celebrity par excellence and was loved by everyone for his humble and friendly behavious. He had the honour to introduce the message of Ahlulbayt[AS] through Qawwalis,Natiya and Manqabatiya kalam not just in Pakistan but right across the world. He hailed from a family of prominent vocalists and his father had also used his skill for spreading the message of love of Ahlul bayt[AS] . Shaheed 's namaz-e-janaza is scheduled to be held in Masjid-e-Furqaniya Liaquatabad tomorrow after Zohr prayers and burial will take place in Paposh Nagar grave yard. 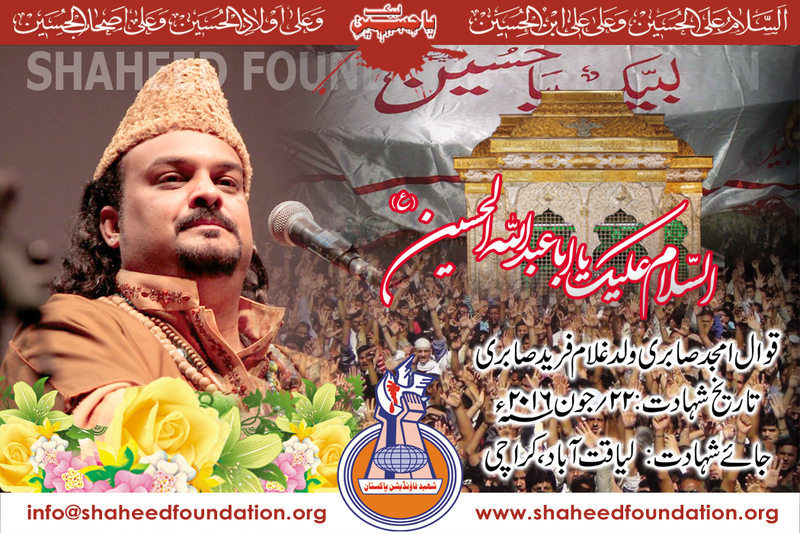 Please recite a fateha for Shaheed Amjad Sabri and a Shohada-e-Millat-e- Jaffaria Pakistan.